St. Patrick's Day Special, 24% Off! 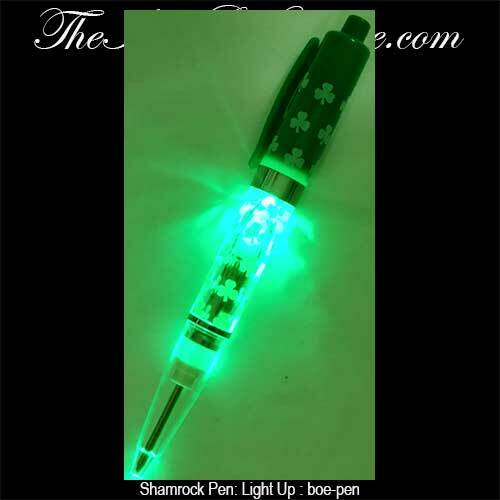 This light up Irish pen features shamrocks galore along with bright green LED illumination. 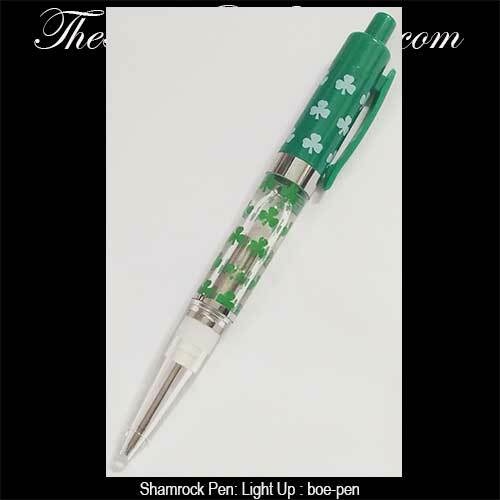 The shamrock pen includes the replaceable batteries and the ink cartridge is also replaceable. The Irish pen is gift packaged with a shamrock history card, complements of The Irish Gift House.